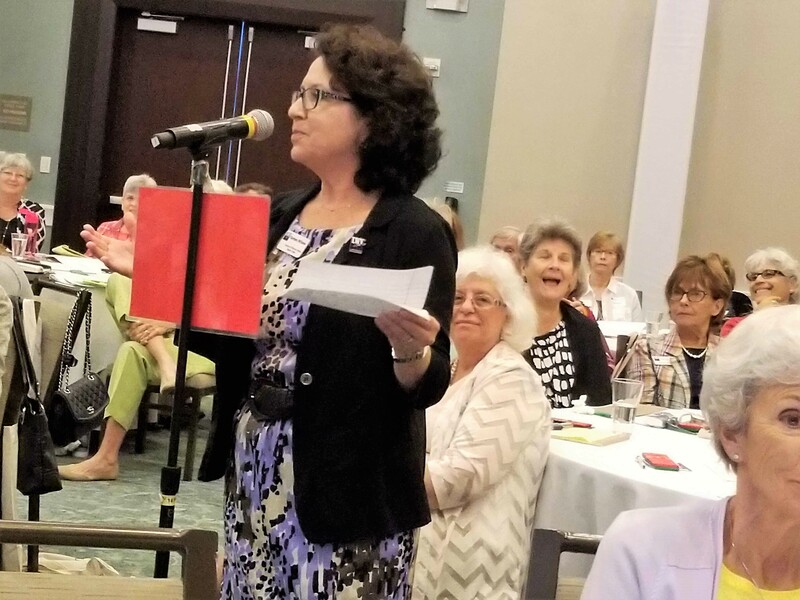 League members willing to volunteer for our statewide Speakers Bureau are in great demand. Using skills perfected in their professional lives or attained through experience and LWVSC training, speakers are provided with material and presentation guidelines. LWVSC Speakers Bureau members have presented at several engagements with organizations including Heritage Isle Democratic Women’s Club, Unitarian Universal Church, Heritage High School, Salvation Army Church, Brevard Association of Women Lawyers, Friendship Fellowship Unitarian, Retired Educators Sorority Alumnae and numerous other community and residential groups. With audiences of 20 to 200 or more, our nonpartisan speakers educate citizens on state and local issues, including ballot amendments, legislative session updates, health care, gun laws, environmental and water issues, redistricting, elections law, and local government topics of interest. PowerPoint presentations and supporting materials are available for Speakers Bureau projects for training and for personal references. • Be confident, know your subject. • Focus on what is important to your audience. • Warm up...look in the mirror, rehearse, stretch, verbalize your key points. • Appearance counts – be well-groomed, dress professionally and be aware that your body language punctuates everything you say. Stand up straight, make eye contact with the audience, and smile. • Do not fidget or roll your eyes when listening to a question. • Speak loudly so everyone can hear, or use a microphone. • Try not to stand in one place so that you can make eye contact with different members of the audience. • Take the floor with confidence. • If you are comfortable doing so, make a small joke or use a bit of humor to help humanize you. • You are the expert, make sure you know the material inside out and backwards. • Do not use a script. It will control you and should you lose your place, it is embarrassing. • Try to find a relevant story or example, it helps the audience remember the subject. • Involve the audience as much as possible so they are engaged, build rapport. • Close with a strong comment or an ask for action.